thebaldian: clara rockmore Clara Rockmore was born in Lithuania in the year 1911. As a child she showed clear signs of being a musical prodigy and she studied violin at the Saint Petersburg Conservatory until a bone afflict ion forced her to give up playing the instrument. Clara, stubborn and encouraged by her music-loving parents, started playing a new instrument called the Theremin. Her sister began to make a name for herself as a pianist so the family undertook a very difficult voyage to get into the USA illegally. The inventor of the Theremin, Leon Theremin, was totally taken by Clara when he saw her play his instrument. He fell deeply in love with her. Clara, however, completely ignored his advan ces and married New York lawyer, Robert Rockmore. She recorded her first record at the age of 66. The art of Theremin. 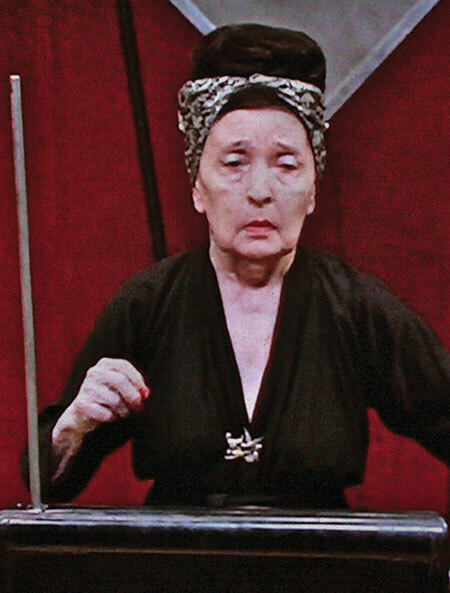 Alfred Hitchcock used her theremin on several of his soundtracks. It also appeared on records by Pink Floyd, Rolling Stones and Led Zeppelin. This very special woman, pioneer of electronic music, died in 1998.